Our unique Full Lifetime Warranty is clear, easy to understand and comes with the best support in the industry. We’ll repair or replace any defect in materials or workmanship and will pay the costs of all parts and labor as long as the product purchaser is a homeowner. Milgard will repair or replace any defect in materials or workmanship and will pay the costs of all parts and labor for as long as the purchaser owns his home. This applies to residential products installed after 1/1/2012 in the U.S. and after 1/1/2011 in Canada. Some exclusions may apply. Coverage extends 10 years from the install date of the original warranty to the successive owners, free of charge. 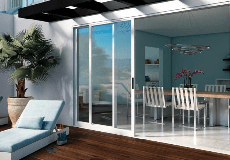 The Milgard® Full Lifetime Warranty applies to windows and patio doors under the Tuscany® Series, Trinsic™ Series, Montecito® Series, Style Line® Series, Ultra™ Series, Essence Series® and Aluminum Series. Glass Breakage Coverage is included on Tuscany® Series, Essence Series®, and Ultra™ Series products. Moving Glass Wall Systems have a ten (10) year limited warranty. How do I find my warranty? Your Milgard Certified Dealer will provide you with a copy of your warranty completion of your window and patio door installation. Be sure that you, or your Milgard Dealer, registers your warranty after the installation is complete so that we have your information on file if you ever need service. If you still need a copy of your warranty, you can find it here.